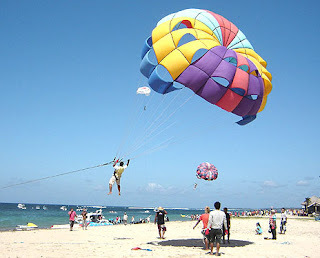 Kuta beach with white sandy beach is most famous among local and foreign tourists. Its sunset views beccome favorite of visitors. No wonder the late afternoon, the beach is always crowded with tourists. 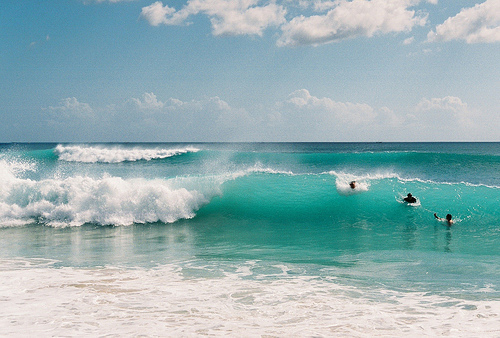 High waves also make a lot of people likes to do activities surving on Kuta Beach. if you want to try her surving but do not have a surfboard, Do not worry, because in Kuta there are lots of rental surfboards at affordable prices. 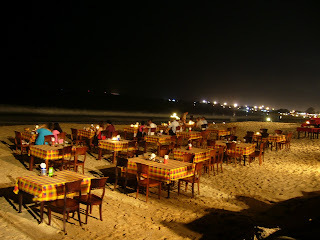 Unlike Kuta, Sanur better reflect the atmosphere of a village atmosphere. Since large-scale renovation, Sanur beach turns into a more beautiful sights and orderly. The number of visitor activity affects the proliferation of resort development there. Shallow sea makes us able to walk up 400 meters to the sea. 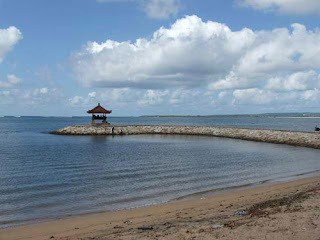 The beach is located near the harbor crossing Bali-Lombok is Padang Bai. For visitors who enjoy fishing and diving, this is where the right place. Although adjacent to the harbor, but the marine life at sea is still very well preserved. 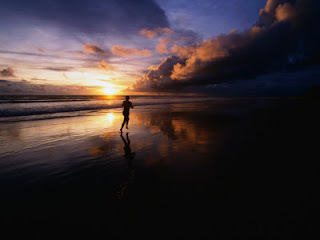 But be careful, sometimes the current is very fast. It also white sandy beach. However, unlike the crowded Kuta beach, the beach located in northern Kuta Beach is having a more clean and quiet. 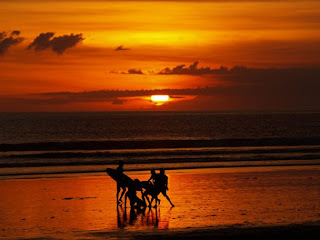 Legian and Seminyak beach is a favorite place for those who like to shoot sunset, because every day is never the same sunset ambience and very unique. This beach has white sand that stretches very wide and embellished with large coral reefs in the vicinity. 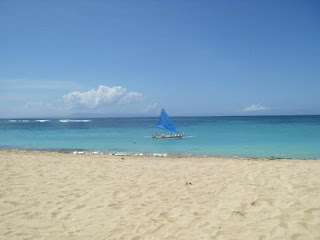 Dreamland beach is one of the white sand beach in Bali is very beautiful and exotic. Only love, access to this place because it's rather difficult to enter the luxury residential complex and the roads are very steep. Somewhat dangerous at a time when the rainy season. 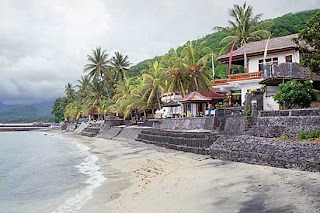 This beach is located north of the island of Bali. Character of the sand on the beach here is slightly different than the other bali beach, because the sand is black. 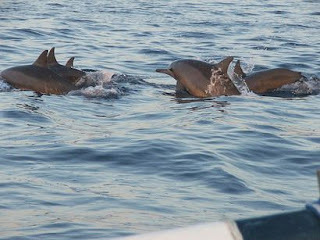 In addition, typical in Lovina Beach is that every morning you can see the Fish Dolphin - Dolphins are playing in the sea a little to the beach. To watch them, you can hire a boat from fishermen at the beach. This beach is located on the southern island of Bali. The scenery is incredibly beautiful, affecting the rise hotel development in this area. Almost all the hotels along Nusa Dua beach is a five-star luxury hotel. The beach is very famous for its water sports activities such as Parasailing, Windsurfing, Glass bottom boat, Waterskiing, Jet skiing and much more. Near the beach, you can visit Turtle Island. We can also see turtles in captivity there.